EDCON Publishing Group has developed a unique selection of supplemental instructional materials. Education professionals use our specially designed products to improve reading and math skills. Our products are especially useful to Reading Specialists, Early Childhood Educators, Math Teachers, Science Teachers, Special Education Teachers, English Teachers, Reading Recovery Specialists, Remedial Reading Teachers and Homeschooling Educators and Parents. Specifically interested in books with these subjects or themes: supplemental instructional materials for use by education professionals to improve reading and maths skills. 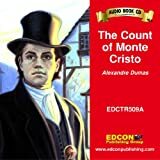 includes early learning, classics series, easy shakespeare, fiction and non-fiction, reading diagnosis and vocabulary books.